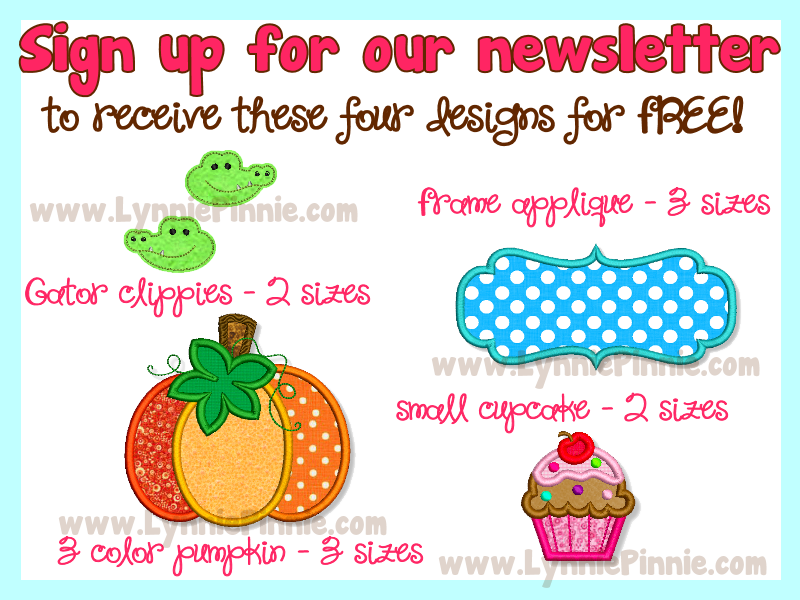 Welcome to Lynnie Pinnie.com! Instant download applique and free embroidery designs in PES, PCS, HUS, JEF, DST, EXP, AND ART formats. Please click here if you are having trouble with the form.